Super League has revealed its new 21-man voting panel for the Steve Prescott Man of Steel award. The panel will be chaired by Ellery Hanley MBE, who is a three-time winner of the prestigious award. Alongside Hanley, Hall of Fame members Johnny Whiteley MBE, Martin Offiah MBE, Garry Schofield OBE and Mal Reilly OBE will be part of the panel. Denis Betts, Phil Clarke, Paul Cooke, Eorl Crabtree, Jonathan Davies OBE, Jerome Guisset, Robbie Hunter-Paul, Chris Joynt, Andy Lynch, Barrie McDermott, Adrian Morley, Terry O’Connor, Jamie Peacock MBE, Jason Robinson OBE, Paul Sculthorpe MBE and Keith Senior will make up the 21-man voting panel. 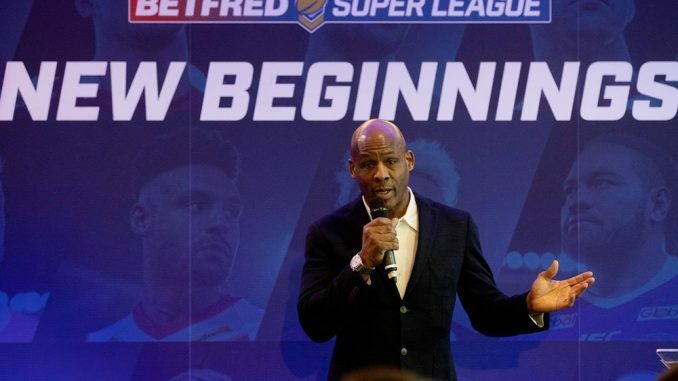 Hanley said: “The major new approach will see a panellist allocated matches to watch from the Betfred Super League and award points to his three outstanding players: three pointers for their chosen man of the match, two points for the runner-up, and one point for the third-ranked player. “The panel is an outstanding group of former players from across the generations who have experience of playing at the very top of the game, with seven of the group being Man of Steel winners and five inducted into the Hall of Fame. Fans will be able to follow the season-long narrative when the scores are published each week of the season until round 22 in mid-July. After that, the leaderboard will be hidden until the awards ceremony in October.